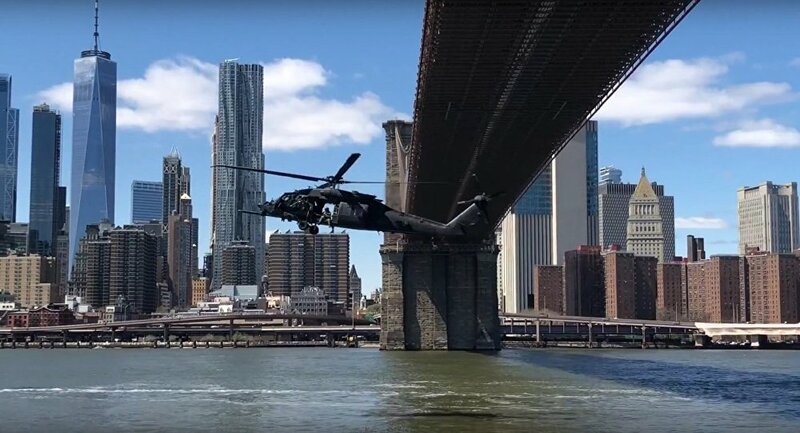 New York City residents witnessed MH-60 Black Hawk and MH-6 Little Bird helicopters from the US Army’s elite 160th Special Operations Aviation Regiment flying under the Brooklyn Bridge. The Brooklyn Bridge is one of the oldest roadway bridges in the United States. It was completed in 1883, and it connects Manhattan and Brooklyn. It has a main span of 1,595.5 feet (486.3 m) and was the first steel-wire suspension bridge constructed. Since opening, it has become an icon of New York City. Drinking too much water can result in hiccups and doggos are no strangers to this phenomenon. 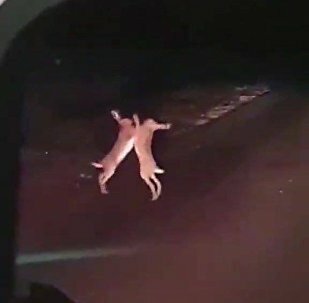 It’s Easter season and many kids are waiting for the Easter Bunny to come, but these two rabbits seem to have something more important to do, namely picking a fight with each other. There is nothing like a nice lazy walk on a pleasant sunny day – and it looks like this behemoth of a kitty might just share this feeling. In order to stay healthy and active dogs need to exercise a lot – and, of course, golden retrievers, as the most active of them, need to dedicate all their time to fitness… Except for those hours they spend on eating, sleeping, and plotting some funny shenanigans.